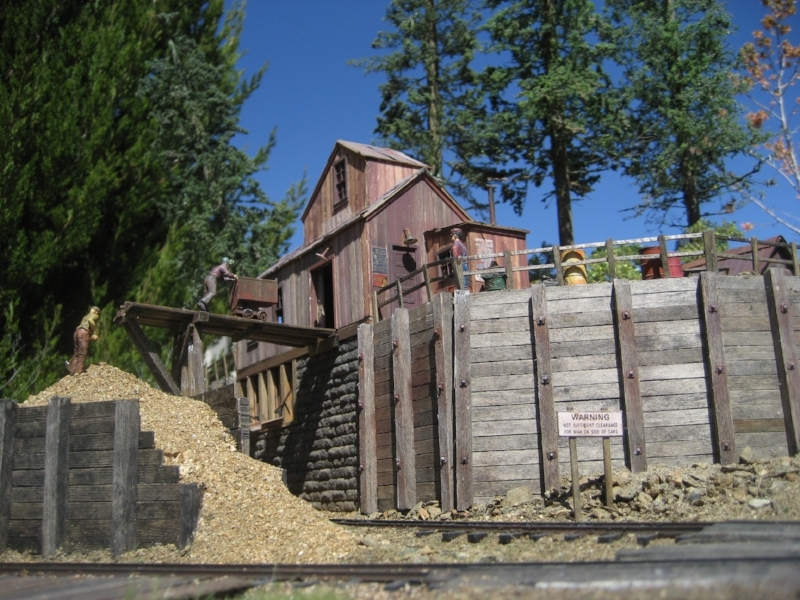 The Frenda Mine was the first module I constructed to include in the NCNG Module Club layout. This 30"x48" module represents a simple mine structure, a few mining cabins, and a cross roads area where a small station and store are located. All of the buildings are scratch built using a variety of techniques. In 2011, at the Nation Model Railroad Convention, I entered this module, combined with the Logging Engine Service Module, in the module contest. I was honored to receive the Best In Show Award for my efforts. This module was "retired" a few years back. However, all of the buildings live on in various areas of my home layout. Click on any image for a larger view.